I thoroughly believe that they have the catchiest songs on the planet. My friend first introduced me to Korean pop music, or k-pop, and now I can’t stop listening. The only problem is is that when you want to sing along, it’s sort of difficult BECAUSE IT”S IN ANOTHER LANGUAGE. But people like me have their ways of singing the words without really knowing what their saying. You’re speaking Korean, but not really. Yay! 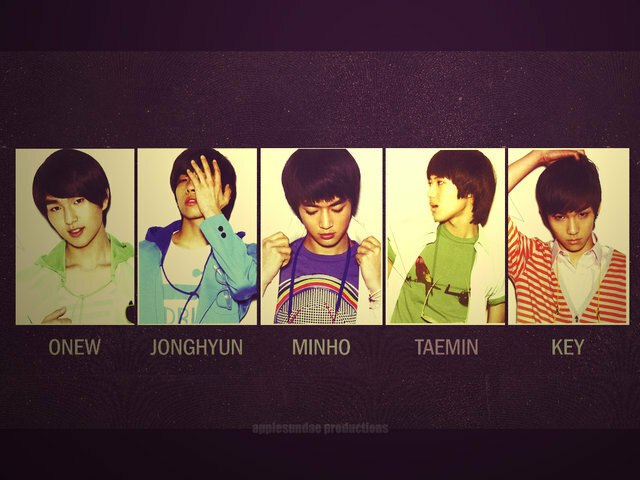 I’ve recently been obsessed with this korean boyband called SHINee. I’ve yet to learn all their names, but I will!! I will also buy more music, you can believe that. This entry was posted in Music and tagged k-pop, SHINee. Bookmark the permalink.